Weeeee! I received a blog award from two amazing blogs, Color Me Kinder and First Grade ABC's !!! Please go and show these bloggers some love! 1. 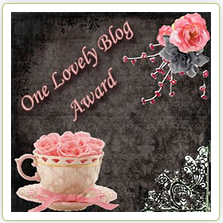 Link back to the blog that gave you this cute award. 2. Pass this award to 15 other lovely bloggers. You TOTALLY blessed me and made my day/night!! Thank you so much...I LOVE your sweet blog!! Congrats on your award from the girls over at First Grade ABCs!!! They shared the award with my blog too:) I know why they gave it to you! Love your blog!! Hope youll stop by my blog sometime... Im your newest follower!! Thank you so much for the award! Your students are lucky to have such a fun teacher! Thanks so much, Michelle! You made my day with that. P.S. Our blogs are twins with the orange polka dots. :) Love it! I think kinder teachers are beyond awesome, so I am honored to receive an award from you.